The store is located in the back of the shopping center. If you live close by you can pedal there. You can drive your car there with your bike. Plenty of free parking at the Hampton Bays train station across the street. Driving directions here. If you choose to drive yourself there you should show up at 9:30 a.m.
You can check in at our Manhattan, Babylon, Brooklyn, or Mastic-Sirley start lines and we will transport your bike and you for free to Hampton Bays. Will you be traveling by bus? Train? What do you care! Just show up, stand still, smile, and let us take extra-good care of you. IF it fits your schedule we recommend that you check-in the day before. If it doesn’t fit your schedule, DON’T worry! 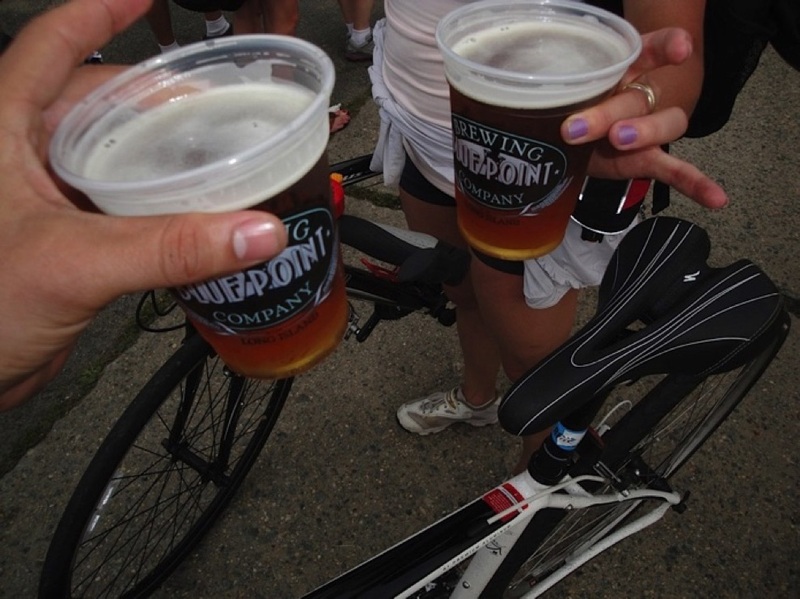 ALL cyclists end at the same place in Montauk for the finish line, no matter which distance you pick.